Talk Fusion is a company that offers Video Marketing software and services which is marketed via a Multi-Level Marketing or Network Marketing business model. Talk Fusion started out as a way to revolutionize the Email Marketing industry by offering "Video Emails" instead of ordinary text Emails. I personally think that this is a good product because it allows you to stand out from the crowd in your clients' & friends' inbox. According to Talk Fusion, an average person receives 88 emails per day. There's no way for your Email to be read if it is very similar with the other 87 Emails, right? That's why Talk Fusion does offer something unique and valuable to the market. Talk Fusion was first launched in 2007 to revolutionize Email Marketing. So, it has been in business for more than 10 years. This shows some credibility of this company. Over the past 10 years, they have developed a lot more software and tools with the goal to transform video marketing and communication. 1. 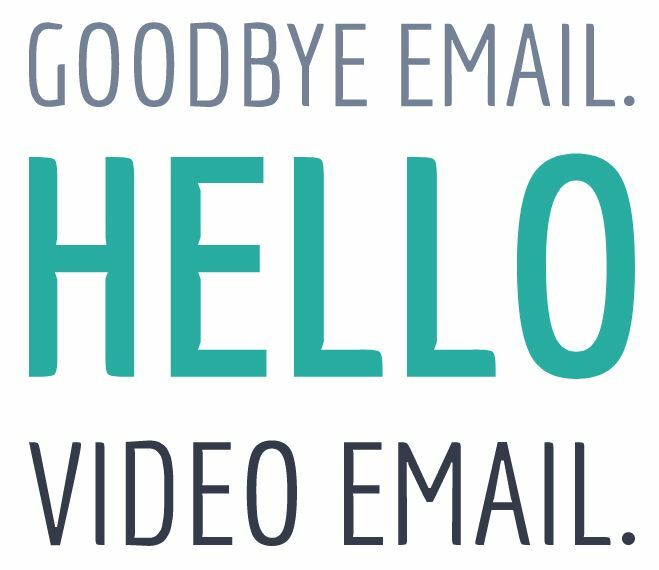 Video Email - Offers you an easy way to create fun and eye-catching Video Emails for any purpose with the help of their professionally designed templates. 2. Video Newsletter - Allows you to increase Email open rates and click-through by creating effective Video Newsletters using a 'drag and drop' interface. 4. Video Chat - This is just like Skype or FaceTime. Chat face-to-face with friends and family members no matter which devices they are using. 5. Sign up Forms - Engaging automatic sign-up forms to help you build your list and follow-up with them through video autoresponder. How to Make Money with Talk Fusion? ​Talk Fusion claims themselves to be the only MLM company in the world that offers the "Instant Pay Compensation Plan". This means that you don't have to wait for weeks to receive your commission because many MLM companies pay their commission either on the weekly or monthly basis. Talk Fusion pays you instantly when you earn a commission. They promise that your commission will be inside your bank account or in your own Talk Fusion branded VISA card within 3 minutes. Simply watch this short demonstrated video to understand how Talk Fusion's compensation plan works. Basically, to make money with Talk Fusion, you need to start by recruiting two people into your team, one on the left and one on the right. For each person you recruit, you'll earn a $120 Fast Start Bonus. For every 2 people you recruit on each side of your team (left & right), you'll earn a Team Commission of $150. The people you recruit will then go ahead to recruit two or more other people into the system to become your downline and this process continues. So, it's a typical Multi-Level Marketing system. The only difference is that Talk Fusion rewards its Independent Associates (that's you if you're in their MLM system) cash directly instead of using point systems which a lot of MLM companies use. And they pay you instantly after you earn every commission. In become an Independent Associate of Talk Fusion, you have to purchase their Business Builder Package in addition to a one-time $30 fee. This is a very common strategy MLM companies use to sustain and support their system. Because this ensures that the higher level associates can continue to make money when more people join the system. This is the standard "The higher you pay, the more you can earn" type of model, which is really not an ideal business model. And by the way, don't be misled by the weekly earning potential they said you can make. I'm going to show you the real statistics of how much money actual Associates are making in just a moment! Apart from the various levels of commission, Talk Fusion also offers some very attractive benefits for top selling Associates. For example, they have Rolex watches, Gold & Diamond Recognition Rings, 5 Star Vacation & brand new Mercedes-Benz to be won. But let me tell you the truth, all MLM companies have this kind of attractive prizes to be won as their marketing strategy. It's extremely hard for you to win those actual prizes. 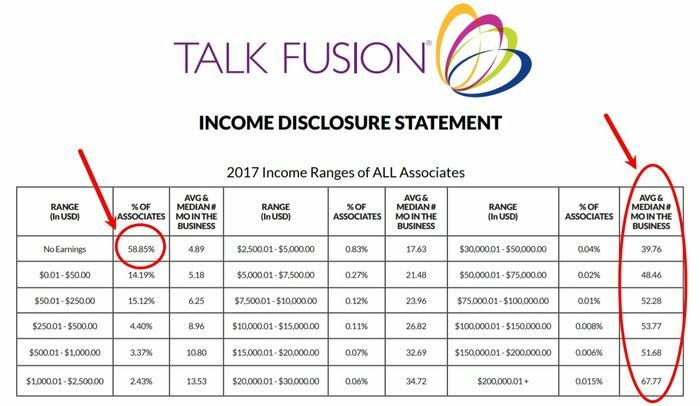 In fact, I'll be showing the average Talk Fusion Associates income disclosure and you'll be shocked! ​Talk Fusion didn't have a 30-Day Free Trial last time. They only offered a 3-Day Trial which is pretty ridiculous. Luckily, they have a 30-Day Free Trial for their products now. 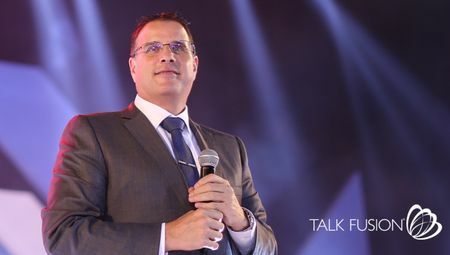 Bob Reina, the founder and CEO of Talk Fusion, is a huge philanthropist and he believes in giving back. You learn more about him here. At the same time, he is also a huge animal lover. So overall, he has created a pretty postive public image. Judging from this perspective, he is a good leader and I can slowly see why Talk Fusion can survive for more than 10 years till today. Talk Fusion doesn't adopt any of the complicated points system to calculate your commission. Instead, they reward you with cash directly and immediately. This is a unique feature that many other MLM companies don't have. Talk Fusion's main products are software and mobile Applications. As you know, the pace of improvement in science and technologies is faster than ever before. Due to the constant change and intense competition in the tech-based industries, products and companies are constantly being replaced by the new ones. Today, there are a lot of similar Apps like Skype and FaceTime. Some of them are a lot more popular than Talk Fusion. I bet a lot of you have never heard of Talk Fusion before. But you are definitely aware of Skype and FaceTime. This is the harsh truth being in the technology industry. In addition to this disadvantage, Talk Fusion is based on a MLM business model which can be very fragile, especially if the company's products are being replaced. I'm sure Talk Fusion do spend a lot of time and money in their own innovation but we never know when will video marketing, video calls, video conferencing been replaced by even more advanced technologies, right? That's why I don't think this is a very sustainable market, especially for MLM. This is just my personal opinion. But I'm sure it does make sense! Another serious problem with Talk Fusion is that they are actually a pyramid scheme in disguise. Why? Because their whole MLM system is focusing on recruiting more and more Associates into the system, instead of selling the actual products. I know other MLM companies also recruit people. However, as you can see from their compensation plan, all the commissions are based on recruitment. That's a serious red flag. 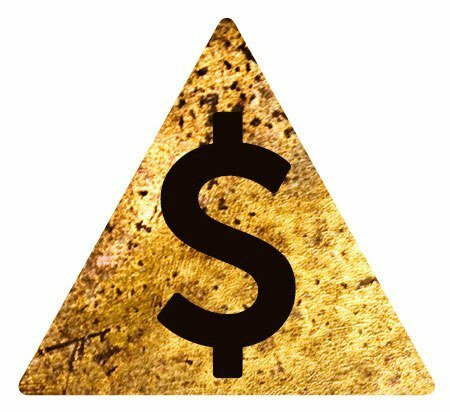 Talk Fusion was actually involved in a Class Action Lawsuit because they are sued to being a pyramid scheme. Check it out here if you want to read more about it. In addition, Talk Fusion is also not accredited by Better Business Bureau (BBB). Now comes to the most important part. Can Talk Fusion Independent Associates really make money? And how much they make? As you can see, almost 60% of all Associates earn nothing at all and their average number of months in business is almost 5 months. This means that almost 60% of all Associates spend an average of 5 months with the company and earn nothing! I know this stats may be similar to some other MLM companies. But let's take a look at the top earners. Only 0.059% of all Associates earn at least $50K in a year. What happened to the $50K Weekly Earning Potential?! Not only that, in order to make $50K, a person has to spend an average of 4 years or more to reach that level! I know there will be Talk Fusion members or employees saying that it is totally possible to make a lot of money and succeed at Talk Fusion because they've done that. Yes, I agree that anyone has the potential to succeed at Talk Fusion. But the chance is just too small! And it doesn't worth the time at all. On the other hand, My Top Recommended program here allows members to create a full-time passive income in less than 2 years time. One reason for that could be the lack of systematic training. All they ask you to do is to recruit people by showing them the unique sales video the founder Bob has made. He said that he will explain everything clearly in that video and everything will work just fine. 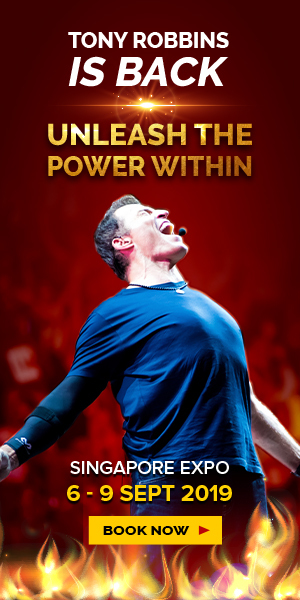 However, from my experience in MLM, training is one of the most important aspect of any success in this business. Showing videos is not the long term strategy. Every single Associates should learn the skills and knowledge about sales, persuasion and communication. There must be a solid training system in place in order for the Associates to really benefit from it in the long run. So far, the MLM company with the best training I've seen is Usana Health Sciences. I don't think Talk Fusion is a scam. If not, it wouldn't have survived for more than 10 years. However, it is true that their business model is pretty similar to a Pyramid Scheme. That's why they got themselves into the lawsuit I've just mentioned. So, I definitely don't recommend you to join Talk Fusion because it's really hard for you to reach the level of making at least a full-time income to support your living. In addition to that, these products are consumption goods, which means it's easier for you to generate a recurring passive income selling products that people need to consume every single day. For tech-based products like Talk Fusion, they're more likely to be replaced because of the constant advancement in technology. So, I’ve some concerns with your approach. And I hope you post my opinion. The thumbnail has a big X in Talk Fusion logo implying something is bad with the company. The problem with bloggers like you is that your main goal is to drive traffic by using meta tags like (Insert name + scam) When companies like Talk Fusion are not scams. Then, you pitch them your affiliate marketing program. 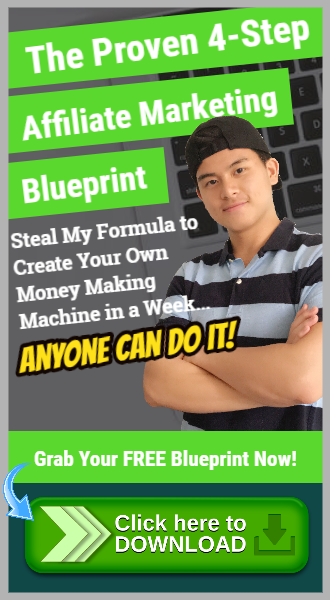 Yet, your big green banner is suggesting that your: “Proven 4-Step Affiliate Marketing Blueprint is the right alternative to a company who comply to the law. How can these people trust your misleading review when you’ve an agenda. Why should they trust you when you’re lying to push your own agenda? You lack work ethic. You also talked about our income disclousure statetment. Yet, we’ve created 30 documented millionaires. You talked about the lack of value in our products, yet, the company has been approached by over 25 top venture capital firms. These firms have invested in global powerhouses such as Facebook, Twitter, Wix, Tumblr and SalesForce. One firm – which has invested $15 billion in over 300 companies in over 65 countries, on 6 continents said: “Out of thousands of companies we have visited, Talk Fusion is in the all-time top 4. Another example, Kevin Harrington from Shark Tank approached founder and CEO Bob Reina to buy the company for multiple billions. He stated that he’s very excited about our early adoption of WebRTC technology and the fact that no other company in the world that offer what we do. Bob declined the offer. The last thing that you want to do is seek advice from an affiliate as their enemy is the Network Marketing industry. Just look how he elaborated his review. Here’s my humble advice for those who read this misleading review. Go to Google and search for the Federal Trade Commission site. Give them a call and say: Hey, Talk Fusion is a Network Marketing company based in Brandon, Florida and it’s owned by Bob Reina. Is it a scam? You will get a real answer. Get off this site. You’re being played by this marketer. FLY. 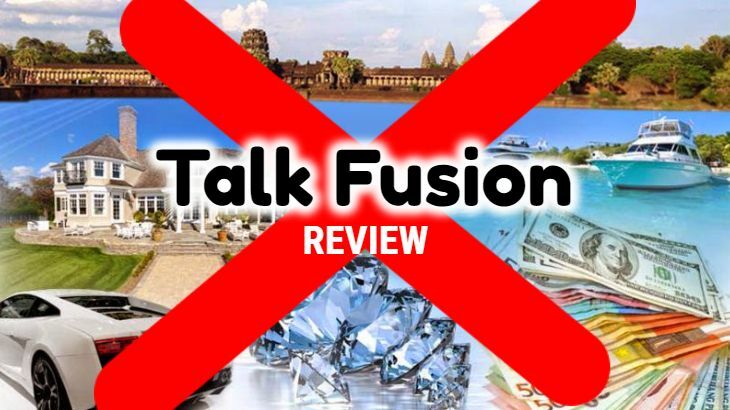 update your misleading review as Talk Fusion has enhanced their compensation plan. First of all, I apologize if there are things that are not accurate because I haven’t participated in Talk Fusion before. I wrote this review based on my thorough research. I’ll try to address the things you’ve talked about one-by-one. Using keywords like “Is Talk Fusion a scam?” is our strategy to rank in Google and drive traffic. Everybody is doing that and there’s nothing wrong with that. You may not like it or feel it’s inappropriate but that’s just the truth how this works. After all, we’re just using it as a keyword to target and as the phrase to catch attention. I’m not say IT IS a scam. So there’s nothing wrong with that. Yes, I have an agenda. 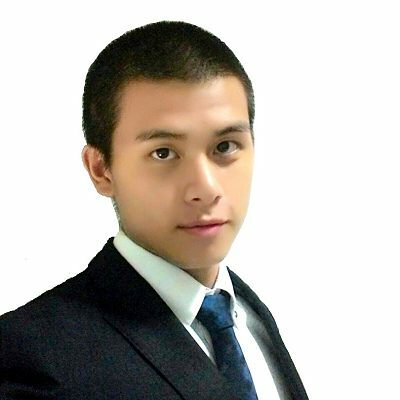 I have experience with both network marketing and affiliate marketing. And I feel affiliate marketing is much better than network marketing. That’s why I guide people to check out my recommended affiliate marketing business model. You can say I’m not reliable because I have an agenda. But guess what, we all have our own agenda, right? None of us here is completely neutral. So the most important thing is that we provide our information and opinion based on what we know and our research. As you have seen, I have done a my thorough research before writing this review. I may not be 100% right or accurate. But I’m also not just going out there blatantly pitching my stuff. So whether I am reliable or you are reliable, it’s based the perspectives of the readers. Make sense? I never say Talk Fusion does not obey the law by the way. Regarding the income disclosure, I’ve clearly said that it’s totally possible to be rich with Talk Fusion. So I’m not surprised there are 30 documented millionaires. But are you one of them? All I’m saying there is that it’s hard to make a lot of money to become truly rich or even just enough to pass by. Regarding the product, thanks for providing those information. I may be wrong about the product being unsustainable but that’s just my opinion. Sorry if the information on the product itself is not accurate because I don’t have access to the information you have. And by the way, you may think that my “steal my formula…” sentence is inappropriate and can be sued by FTC. But just think about it. In that sentence I’m not promising anything. Unlike many other scams out there, I’m not promising you to make certain amount of money within a certain period of time. 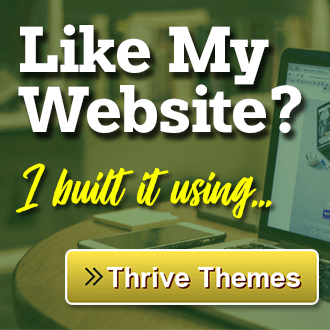 The “money making machine” I’m talking about is your website. 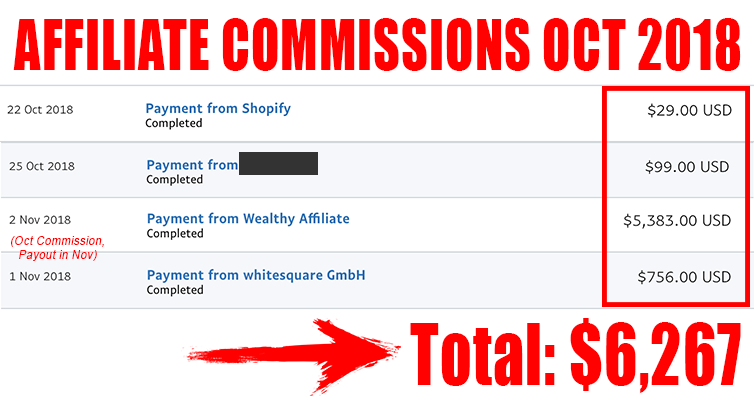 Website really is a money making machine and it can definitely be built in less than a week. It doesn’t require any programming knowledge so anyone can do it. So, do you think it will still be sued by FTC? I’m just using the words wisely to catch my readers attention. I won’t get myself into trouble for sure. You can see that by now right? All in all, affiliate marketing and MLM are always in conflict most of the time. That’s normal. I’m not saying Talk Fusion is a scam. All I’m doing is presenting my own opinion based on my research. That’s what these online reviews are for. Majority of them don’t have 100% correct information. They’re just presenting their views. In my case, I’ve done my thorough research. I admit maybe there are things that are not right or accurate. But it’s still an honest review and opinion. If not, I won’t be publishing your comment already, right? So, may I know if you are an associate or employee of Talk Fusion? Are you making a full-time income from Talk Fusion? ANOTHER WEALTHY AFFILIATE “affiliate” doing what EVERY OTHER WEALTHY AFFILIATE does..
Go out, create a website reviewing the same ole sh** every other WA Affiliate does and then counter the is a scam argument with “Hey, Join Wealthy Affiliate” because it’s so much better! And I’m still WAITING for at least ONE WA Affiliate to let me know that information! They call themselves as Kyle & Carson everywhere for branding purpose. The fact is that Wealthy Affiliate is really a lot better than many other programs out there. It’s free to join, why not give it a shot before making such irresponsible conclusions/comments? I read your article and I was surprised by the similarity between this product and one another, Organo gold. 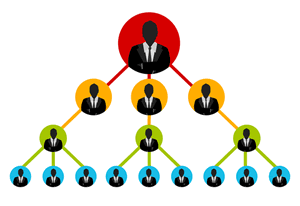 In fact, this is a multi level marketing business, similar to a Pyramid scheme too. These products won’t die so fast because there are the most paid members who want this business up. However, it’s just a waste of time for most people. I found your last comparison between mlm and affiliate marketing really interesting. It is very impressive and good looking. Have a good day! Thanks for sharing this. I agree with you that if you join the wrong MLM company, you’re going to waste a lot of your time & money and see no results. Choosing the right company is one of the most important thing in MLM. Thank you very much for your review! Some people tried to convince me to join Talk Fusion because of the “great earning potential”. But thanks to your numbers I know that most people at Talk Fusion don’t earn any money at all. Glad you found this review before joining Talk Fusion. People should really be aware of the earning potential before joining. The good thing about Talk Fusion is that at least they are honest about their income disclosure and are willing to share it. The first time that I have heard of a system like this. They seem to have a lot of training going on at different levels but I guess they make the most of the moneys from upsells. I guess one thing they can say to convince people to join is the fact that they have been around for 10 years. But like you said most people don’t make money from this system so this seems not to be a good investment. Thanks for your comment! Yes, their 10+ years in business is an advantage for them. Since most people are not making money, I think this system is able to survive for so long is due to the support from higher level members and from the fact that their software are still quite popular today.